Limahl, during the early eighties, was the infamous front man of Kajagoogoo who were one of the biggest British pop groups of the day, playing with such musical contemporaries as Duran Duran, Culture Club and Spandau Ballet. After, three top ten hits, including the worldwide no. 1 Too Shy, and a million selling debut album White Feathers , Limahl and the band went their separate ways. 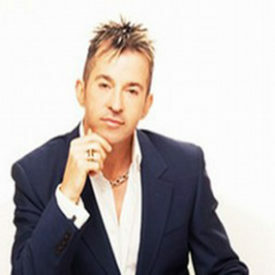 Limahl continued to enjoy chart success as a solo artist, more notably with Only For Love and Neverending Story from the hit film of the same name which reached no. 1 in over 17 countries. It’s a long way from his roots in Wigan, where the 16 year old local lad, born Chris Hamill, won a singing competition at the famous Northern Soul Venue, Wigan Casino, arriving in London at 18 years, where he immediately began a solid apprenticeship performing in theatre shows including Joseph and the Amazing Technicolour Dreamcoat , Godspell and Agatha Christie’s Murder at the Vicarage . 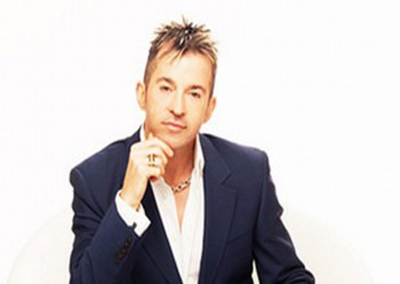 These days Limahl can also be found working hard behind the scenes at his recording studio in west London composing, producing and remixing some of today’s contemporaries like Tony Di Bart, Livin’ Joy, Kim Wilde, Peter Andre and World Apart, amongst others. However, Limahl finally decided to do the right thing and return to the stage, where some say, he firmly belongs. In this specially prepared 80’s show who better than Limahl to take the audience back in time for that ultimate “New Wave” or “New Romantic” trip… Expect the Kajagoogoo/Limahl favourites but also a celebration and collection of some of the biggest hits from those fab early eighties! !